A 26-year-old securities analyst who died on 9/11 was positively identified on Wednesday, nearly 17 years after the twin towers fell. Scott Michael Johnson on Wednesday became the 1,642nd person to be identified following the attacks, according to the New York City medical examiner's office. More than 1,100 others who died that day still haven't been positively identified. Johnson worked for the investment banking company Keefe, Bruyette and Woods. 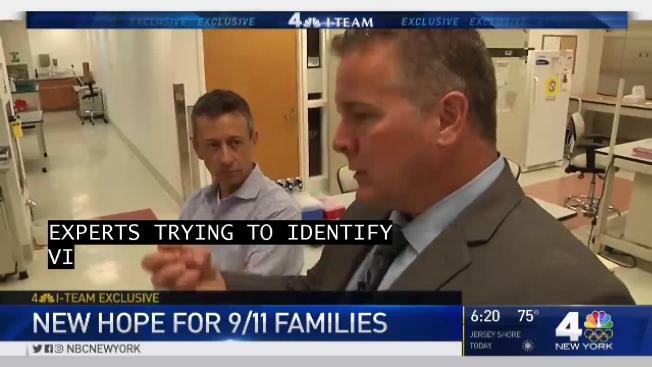 NBC 4 New York has reached out to his former firm. Johnson was survived by his parents and two siblings. His father, Thomas Johnson, is a board member at the National September 11 Memorial & Museum. He told the New York Times, which first reported the identification, that Wednesday's news was a painful reminder. "He was one of the kindest people that anyone around him had ever known," his father said. "The pain of losing someone like that was tremendous." Johnson's identification is the first since August 2017, when examiners got a match on the remains of another man whose family didn't want him publicly identified. Scientists at the missing persons unit of the medical examiner's office has spent the last 16 years working to ID every one of the victims of the attack using forensic methods and advanced DNA testing to bring closure to families who lost loved ones. DNA testing methods have led to 89 percent of all positive victim identifications, the medical examiner's office said; in total, about 60 percent of those killed in the attacks have been positively identified. Nearly 3,000 people in New York, at the Pentagon and near Shanksville, Pennsylvania, died in the attacks orchestrated by the terror syndicate al-Qaeda.